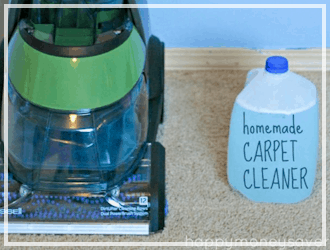 Did you know you could create your own homemade drano? 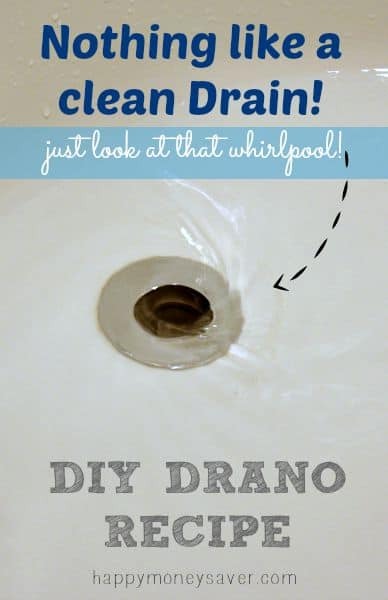 Well, it’s not really like drano because drano is full of a lot of scary chemicals and toxins, but it can get the clog out of backed up sinks and tubs like drano, and I think that is pretty awesome. Last week, my tub decided it did not want to drain for me. I thought about going to the store to buy something to fix the clogged drain, but instead, decided to create my own solution (this doesn’t sound like me at all, wink wink) and it surprisingly turned out to be quite an easy task. My tub that took 15 minutes the night before to drain, now drained in 3 minutes. I couldn’t believe it. 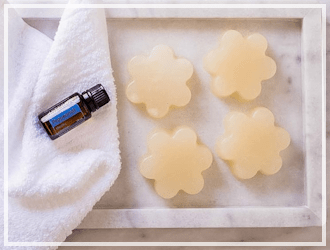 All this time I had been using those harsh chemicals, when I could have been using simple and safe ingredients to make my own. 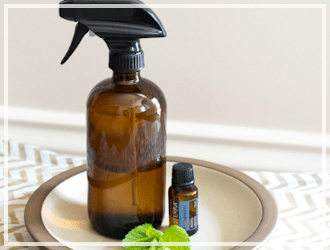 My Homemade Drano Recipe uses safe all natural ingredients, unlike the store bought stuff which is full of scary chemicals. 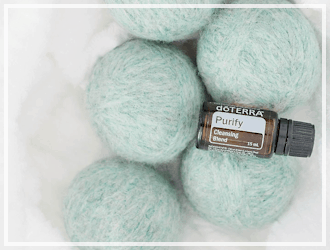 I love that it uses ingredients that I always have on hand, and is still effective. 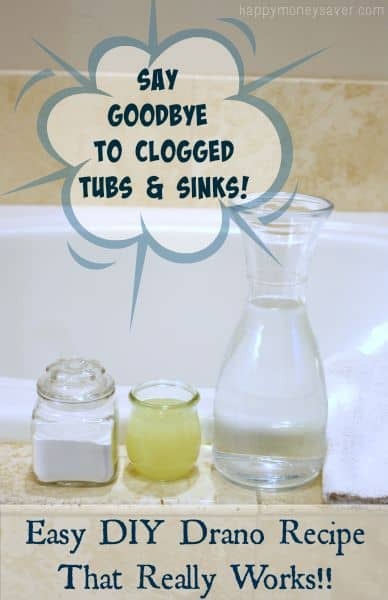 Are you ready to find out how to unclog a drain the natural simple way? Lets get to it. First make sure water is drained from tub or sink. If it is slow draining, just be patient and wait for all the water to drain. 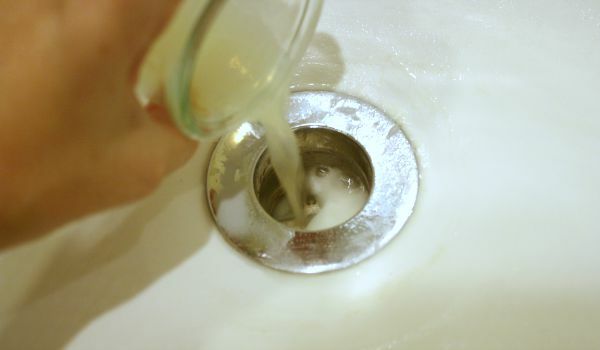 Remove any drain plugs or stoppers from the tub or sink. You want an opening big enough so you can really get the solution down the drain. Next pour boiling water down the drain to help losen up any gunk. Let water drain again. Next pour baking soda down drain. This was by far the hardest and most time consuming part. 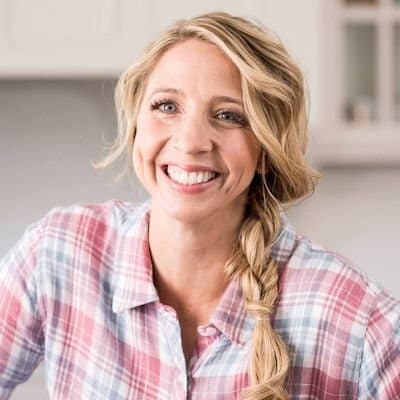 Try your hardest to get all of the baking soda down there. Use a funnel if you have to! 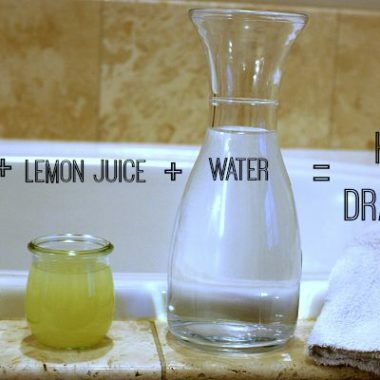 Next slowly pour in the lemon juice, and also vinegar works just as good! The lemon juice will cause a reaction with the baking soda and this will result in some fizzing and bubbling action. 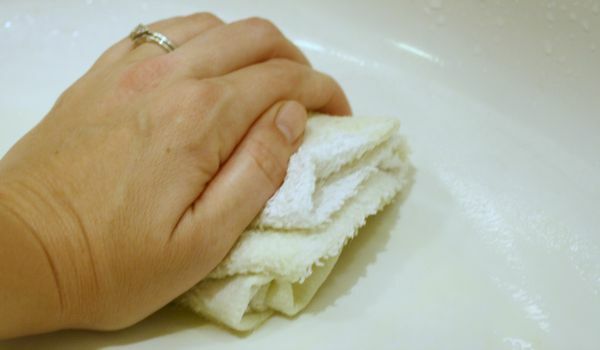 Cover the drain with a cloth, or tub stopper so that the baking soda can work. We don’t want it to come up, we want it to break up the clog down below. Leave the cloth or drain plug for 30 minutes. During this time the foaming action will be breaking down the clog. 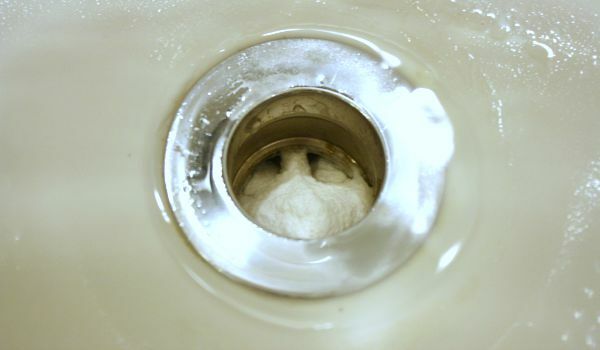 After 30 minutes, uncover the drain and very slowly pour more boiling water down to flush the clog out. If you have plastic piping, it is best to avoid boiling water and instead use very hot water. A 32 oz. 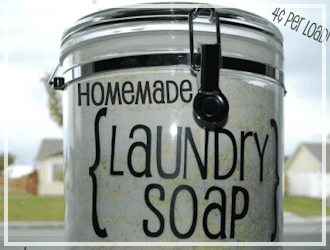 bottle of Drano cost about $4.00 at Walmart and my homemade version is only pennies! So yes, it is definitely worth the cost, and time to make. 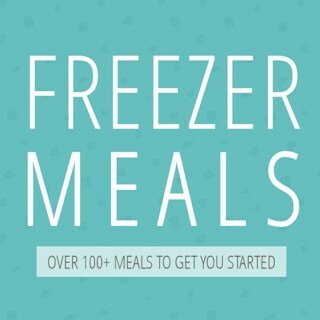 I love that it uses products that I already have in my kitchen, which means I don’t have to take an extra trip to the store. Plus, I don’t feel like I am going to die a horrible death from breathing in nasty chemicals and toxins. 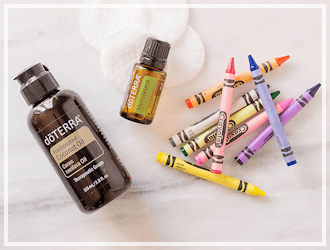 I love that this recipe is safe to use around my kids! 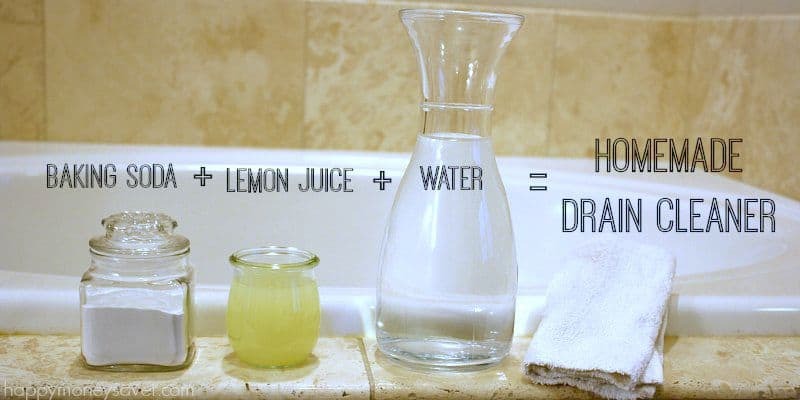 Clear a clogged sink with this DIY Drano recipe. Next pour boiling water down the drain to help loosen up any gunk. Let water drain again. Next slowly pour in the lemon juice, and also vinegar works just as good! The lemon juice will cause a reaction with the baking soda and this will result in some fizzing and bubbling action. 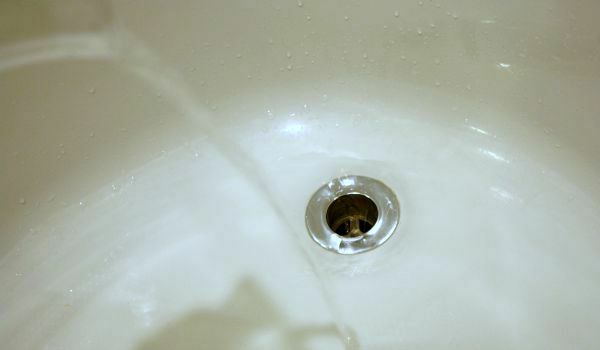 Cover the drain with a cloth, or tub stopper so that the baking soda can work. We don't want it to come up, we want it to break up the clog down below. Check out more of my homemade recipes >>> here. A very interesting article, thanks a lot! I have seen some suggesting not to use boiling water for fear of damaging pipes. To avoid the possible pipe damage, I did use a small pot of water, but as i heated it up on the stove, i poured it down the drain just as “bubbles” that had formed on the side of the pot started to release. This made it hotter than my water heater, yet not really boiling yet, so (hopefully) no damage to the pipes. I also used vinegar instead of lemon juice, but that is only a preference/availability issue…as both facilitate the same “bubbling” result to break up the clog. The rest I did exactly as was described here, and it worked like a charm. I have a badly clogged sink in my kitchen that did not respond to this method.. I want to tear my hair out at how many things that say will work and does NOT. All the liquid uncloggers do not work either. How is water free? Unless you have a well on your property, you still pay the city for water from your faucet. I tried your method, but as I worked, I realized a flaw. 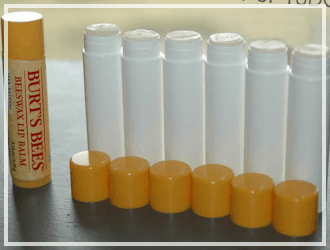 I use diluted baking soda shampoo and diluted vinegar conditioner. Apparently my hair should have dissolved by now and I should never have a clogged shower drain. Since neither of those have happened, I’m going to say this method does not magically get rid of hair. It probably does get rid of other grim we’ll though (hence why i’m using it on my hair). I ended up securing an anchor to long tweezers with a rubber band (didn’t want to lose the tweezers!). I got a ton of hair out with the extra depth. Now it drains well. I would have liked this to work but it didn’t. It actually made it worse. Maybe mine was just too clogged. Thank you for sharing. 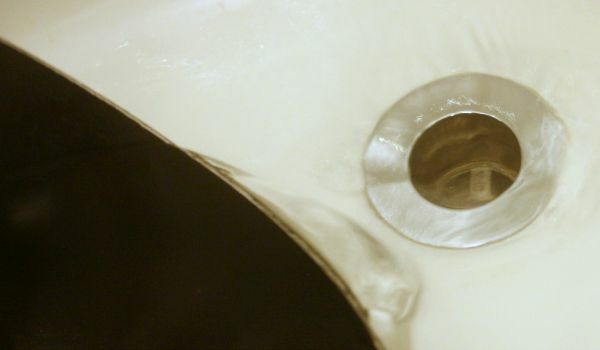 This is the best way to unclog a sink drain. Not only is it very easy it’s also safe.